Trying to get my daughter registered in a new school…. Family is split in different directions…. My oldest daughter is living with bio dad…. My parents are living with my sister and her family…. Shadow and Bitsy are with my oldest daughter’s ex boyfriend…. If I can’t ….it will break my heart if I have to put them in a shelter…. 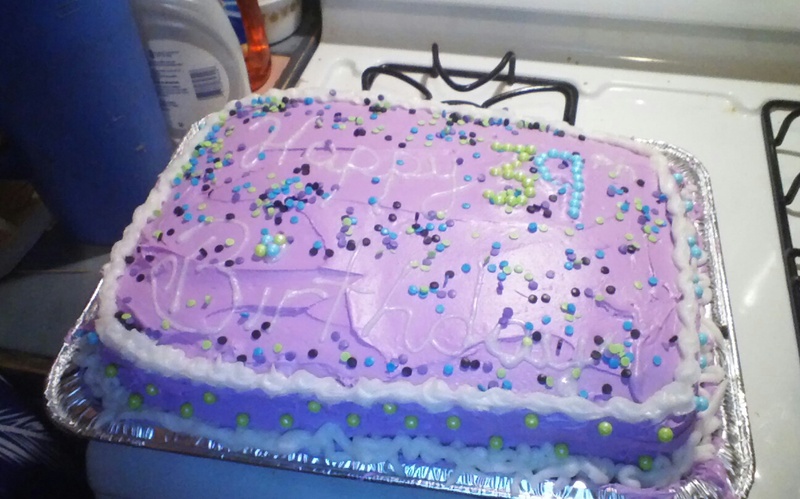 This is my birthday cake that I made…. My oldest daughter decorated it …..
My youngest daughter made me birthday gifts…. I got a shirt, sandals, a gnome tree,and a gnome…. Plus,I got myself a quilting book…. 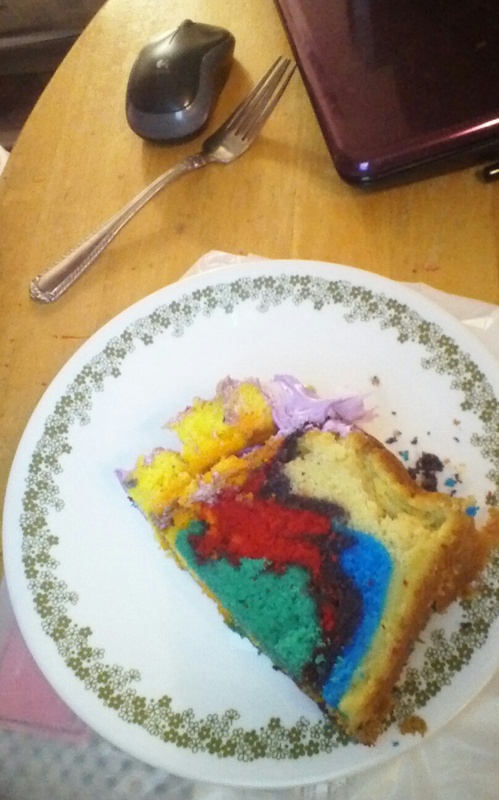 This is my rainbow birthday cake…. 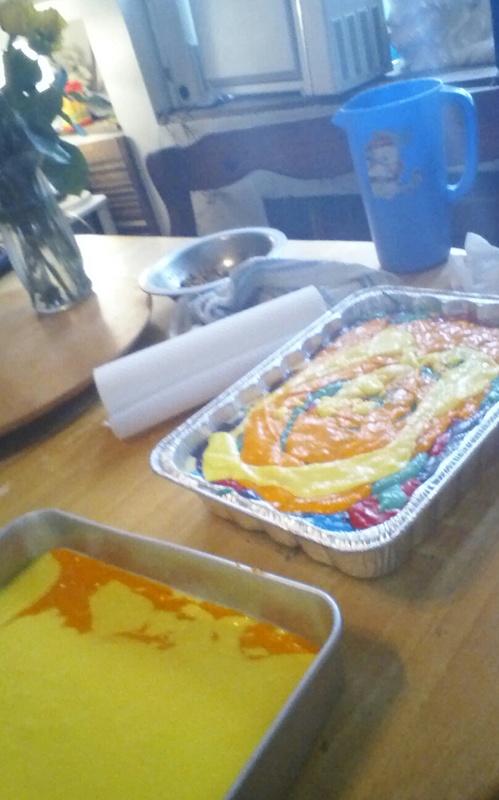 It came to seven different batter’s…. My husband took me out for breakfast with our oldest daughter,because he had to work tonight…. 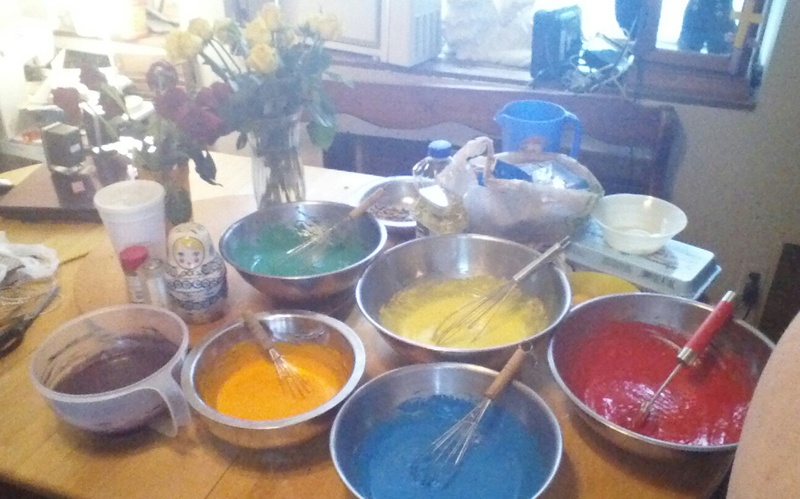 My oldest daughter is going to decorate my cake later…. 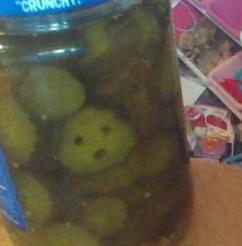 My parent’s are taking me out for dinner…. 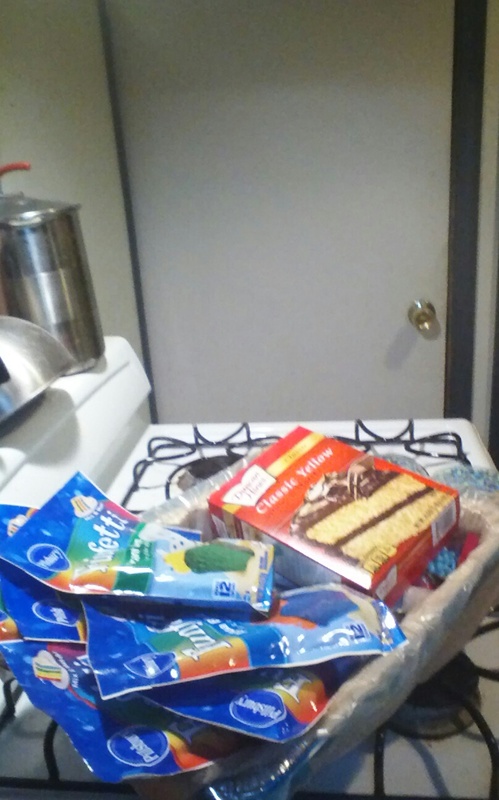 This is my ingredients for my rainbow cake for my birthday…. Why am I going going to bake my own cake for ,when it my birthday? I made one for my youngest daughter’s birthday party two weeks ago….